Mixed martial artist, Hænder “cubita” Rodriguez (6-6) has faced difficult times in his life. At the age of 16, he came to the United States. In 1992, one week after Hurricane Andrew attacked south Florida, Rodriguez, 37, worked as a roofer at 16 years-old to survive in new country. Two years ago, he opened his own gym for mixed martial arts in Kendall. A couple of weeks after he lost his home by a fire and didn’t have insurance. “God gives the worst battles to his best warriors and I’m a son of God,” he said. Rodriguez enters the cage after two years on the undercard of HOF at the BankUnited Center in Coral Gables on Friday, March 13. He faces the young Gleidson Dejesus (4-1). 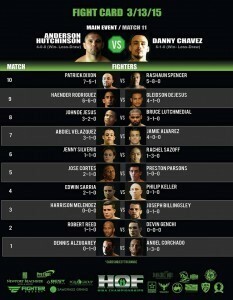 On the undercard, several Cubans face off against North Americans. Like to win FREE tickets to the show. Rodriguez has been absent from the cage to focus on his training to improve. He trains at MMA Masters in Miami. He began in martial arts in Cuba after studying judo and then began wrestling. He had his first fight in mixed martial arts against a fighter with a 15-15 record. A dream of Rodriguez is returning to his native country and fight in front of Cubans on the island. 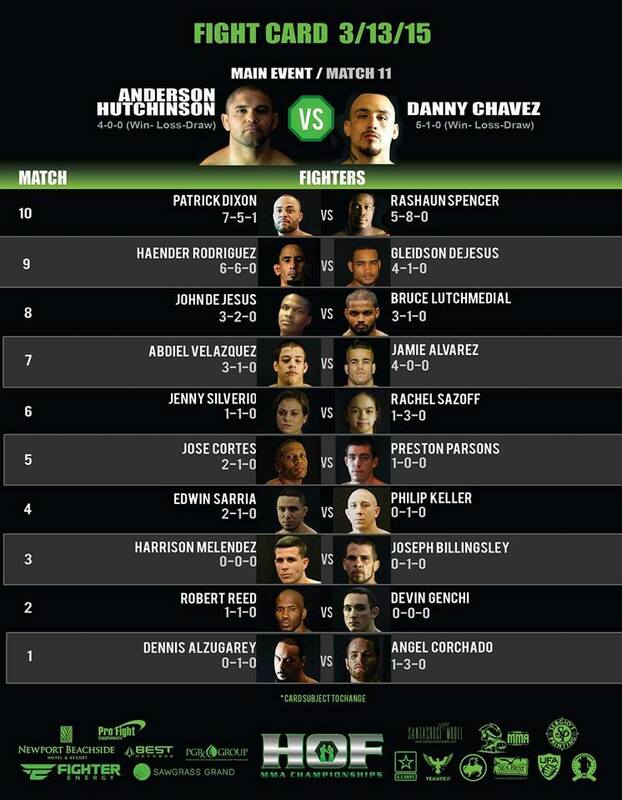 The main fight will be between Danny Chavez vs. Anderson Hutchinson then followed by Patrick Dixon vs Rashaun Spencer; John’s Jesus vs Bruce Lutchmedial; Abdiel Valezquez vs Jamie Alvarez; Jenny Silverio vs Rachel Sazoff and more. Previous: BE THERE, THE FAIR—AND BE ENTERTAINED!